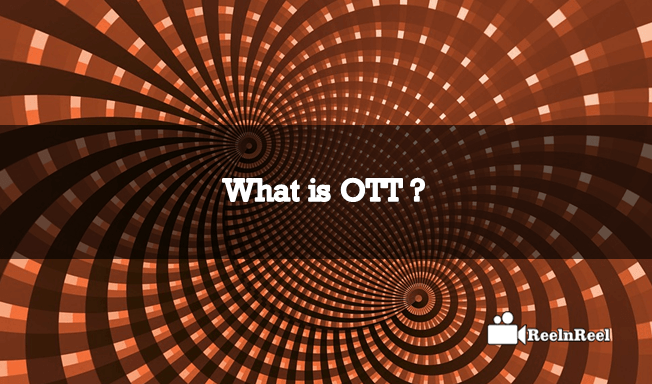 Home » Video Marketing » What is OTT ? Over-the–top content refers to the content that is useful for delivering the TV and other film content through the internet without any need of subscribing to the traditional cable cords and Pay TV services and much more. The OTT apps and the associated services can be delivered through internet and everything that users need. It has become the top entertainment today. When comes to OTT applications and services, They are divided into three different kinds of revenue models like SVOD, TVOD and AVOD. The subscription-based services like Netflix, Amazon, Hulu and Ad-supported services like Crackle and transaction services like Vimeo can be provided under the OTT services. The telecom industry is also undergoing several changes with new things that are changing the business environment. There is a significant impact of OTT service providers on the operators. There are several new regulations which were included with the laws of net neutrality which remove the barriers to OTT apps success. There is an enormous impact on the on the traditional operator’s revenue streams. The OTT services are raised more than 700 Billion sources of income and it is expected to increase the OTT revenues. • The Over the Top content had changed the way of using the internet and many businesses are also finding new opportunities to reach their potential audience across the web. • With the advent of mobile devices, the communication has become the means of accessing the information. • The main advantages of the streaming media through OTT services and applications are the 50 percent of the web content is entirely go towards the streaming media. • The central fact that is vital for the business is to be on the right track to make use of the technology. • More people are turning towards the streaming media than the text content. • The streamed media allows the users to have a good control over the content and user can forward or backward the content. • Another key advantage of OTT content is its quality. The quality of streaming media is comparatively very good and improved. • Hence it turned as a useful tool for businesses. The streaming media can deliver real quality content. • Users are attracted towards the streaming content and they simply like to consume the top content. Business who can provide the best content can win their audience with their services. • Though companies are offering the media that is downloadable, the streamed content has greater priority. • The streaming content is too hard to duplicate, so no worries about the content pirating. • OTT video can provide the businesses a significant opportunity to take advantage of the emerging technology. The rise in competition the business to hire the qualified vendors to provide their services. So, consumers can get the best of all when comes to OTT services. There is no need to go for different packages which are too confusing for all. The best providers will not get the penalty and hence they can provide the best customer support as well as the best resolution to the customers. The monthly pricing is very low which starts from $5 with lots of free content from the major platforms like YouTube, Hulu, etc. It is very easy to install the OTT applications on laptop or phones and saves a lot of time and effort. The original programming will be offered from OTT services just like the cable operators do. The main disadvantage of the OTT is its quality. Yes, OTT can provide good quality output to the users, but the quality will also depend upon the internet connection speed of the users. Sometimes, the user might experience the buffering while watching the video content over OTT services or applications. Some programs cannot reach faster on OTT compared to TV. Your program seasons might complete in cable and slow on OTT. • OTT does not have the web browser capabilities. • There will not be any cookies or flash. • Some digital ads and third party tags are not compatible on OTT. • The audiences on OTT are diversified and they are not limited. • More than 24 percent video ad views in the year 2016 come from desktop and laptops only. • The total OTT views on OTT devices have risen to 65 % at the end of Q3 in the year 2016. OTT users are growing year by year and there is an increased number of viewers across the globe who gave the green flag to the OTT services instead of cable and other traditional Pay TV networks. When comes to device targeting, 16 percent more growth is reported on VODs and 36% increase is reported on desktop or laptop. 9% increased the Tablet OTT users and smartphone users grew by 17%. OTT platforms are ideal platforms for where users can access from their device and it is very comfortable comparing to other modes of content consumption through traditional cord connectors. It can be accessible to anyone with a very limited expertise and the consumer can quickly perform all the required functionalities and the tasks where users can find the content with ease. Some of the top OTT platforms are Apple TV, Netflix, Amazon Video, Hulu, Sling TV. Discovering the new content can be very fast and precise on OTT platforms. Users mainly refer OTT platforms as they can get the top rated premium content which cannot be able to fetch in traditional cable networks. OTT is the most comfortable way to watch favorite programs as users are more likely use their smart devices beyond just for calling and receiving. That is the reason why the OTT communications were also significantly developed and people made these services as the part of their daily routine. We can expect more developments in OTT in future to enhance the viewer’s experience and marketer’s opportunities in new directions.